When choosing what is needed for your drainage project, there are many factors to consider, including what materials your system is made of. This decision depends highly upon the application requirements. Trying to understand the science between polymer concrete and vinyl ester drainage systems can be difficult. Most people don’t realize the importance of knowing the difference between these materials and what roles they play in their drainage needs. Polymer concrete is a composite material in which the aggregate is bound together in a matrix with a polymer binder. So, what does that mean for us non-science types? Polymer concrete is good under high tensile (tension), flexural and compressive strengths. This material has excellent long-term durability and low permeability to water, making it ideal for most drainage situations. With its exceptional properties, polymer concrete is often used in the utility industry as a reliable solution for unpredictable, damaging environments. 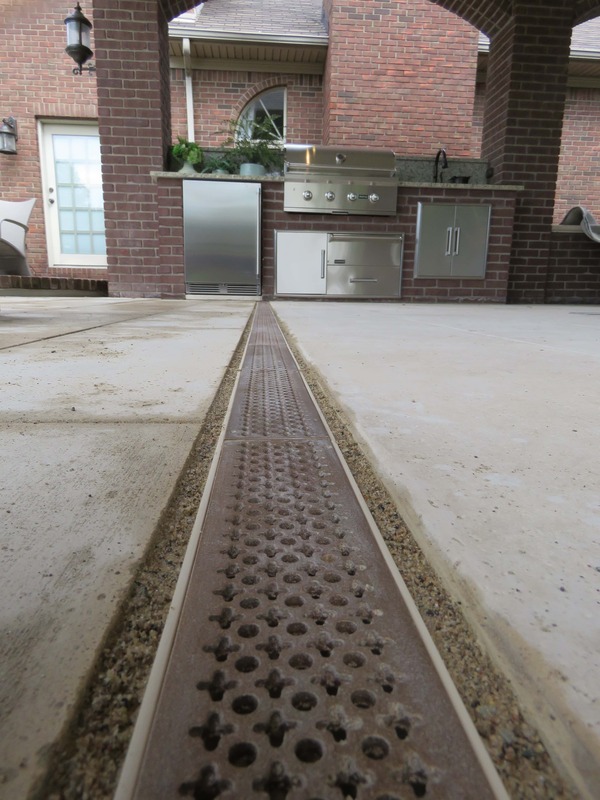 Trench Drain Systems offers Hubbell’s series of POLYCAST® drainage solutions. One example is the POLYCAST® 600 Series which is one of the most prominent small commercial drains on the market. The 6.25″ wide (OD) polymer concrete channels are offered as 48″ and 24″ lengths. Their built-in .65 percent slope allows the system to achieve flow rates of 470 GPM (Gallons Per Minute), higher than drainage systems of similar size. These polymer concrete channels safely handle temperatures up to 150 degrees Fahrenheit without structural damage. Vinyl ester is produced by the reaction (‘esterfication’) between an epoxy resin and an unsaturated monocarboxylic acid. Essentially, they comprise of a base of polyester resin strengthened with epoxy molecules in the molecular chain. This means vinyl ester has fewer open sites in its molecular chain, making it more resistant to water penetration. Vinyl ester is less sensitive to surrounding conditions and is more tolerant of stretching than polyesters. These characteristics allow the drainage system to absorb a greater impact without damage, making it less likely to show stress cracking over time. Trench Drain Systems is the largest stocking distributor of vinyl ester channels through the Hubbell POLYCAST® product line. Trench Drain Systems is the leading supplier of drainage systems for distilleries, breweries and micro-breweries throughout the United States. Breweries are one of the main applications that Trench Drain Systems suggests the use of vinyl ester due to the high pH levels and high temperatures of wastewater. This type of environment can cause other drainage system materials to become weak, break down and even warp. Where are Trench Drains Found in Breweries? For many applications, selecting the right drainage system material is critical. The chemical differences between polymer concrete and vinyl ester result in several differences in physical properties. This product choice directly affects the project’s strength, durability, lifespan and cost. Let one of our experts help determine whether polymer concrete or vinyl ester is best for your application. Contact us at 610-638-1221 Monday through Friday, 8am – 5pm EST, or request a fast quote online today. 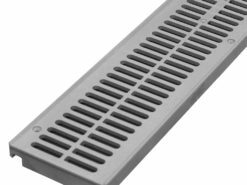 Try Our New Landscaping Pipe Grates!